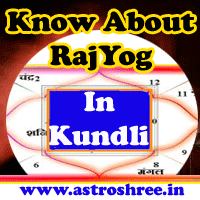 what is parad or mercury in Astrology?, understand parad or mercury, benefits of mercury, power of parad, worship of parad statues, parad shivling, parad, shree yantra, parad for successful life, Astrologer for best guidance to solve any problem. A metal which has great importance, a metal which gives a successful life, a metal which has the power to give health, wealth and prosperity. Do you want to know about that. So that metal is called PARAD OR MERCURY. As per our holy books parad is one of the best holy thing which has the power to make the life fruitful. Parad or Mercury is not only used for the medical purpose but also has great spiritual importance too. In astrology also this is used to remove the hurdles of life. Astrologers recommend the parad shivlings for removing navgarah doshas. Here in this article, I am providing the magical power of parad and also we are providing the facility to get the original parad shivling and other holy statues for worship. The information on this site is the result of great intense research on parad and we believe that parad or mercury will definitely change your life. What is Mercury or Parad? It is the only metal which is present in liquid form and so it is also called metalloid. It is experienced and also written in holy scriptures that if any one worship on the shivling made with parad then no doubt success will come in his or her life. The worship of parad is able to bring dharm, artha, kama and moksha. Devotees can attain the 4 important aspects of life by worshiping divine parad shivlings or idols. It is also possible to over come from many harmful diseases by using parad in a specific way. One can keep the parad god or goddeses statues in home temple. One can make the temple of parad. One can keep the parad idolin offices for positive energies. It is very strange that no other metal can be kept with parad. It is said that it eats the other metal like gold, silver. So no metal is kept with parad. It is a magic that if you keep a gold coin with parad then after sometime you will find that gold is disappeared and no body knows that where it is. Mercury intake may lead to death so keep this away from children. Parad or mercury is basically used in traditional thermometer. It is used in healing patients. Mercury is used to make shivlings for worship. It is used by astrologer or vastu consultants to increase the positive energies any where. It has the power to destroy the black magic effects. Parad has the power to attract money, fame, peace and prosperity. If you are facing any problem and in search of astrologer for genuine guidance then do contact ASTROSHREE ASTROLOGER for predictions, analysis and easy remedies. Get the solutions of marriage problems, get the remedies of love problems, make your career successful, best astrology services on line by astrologer astroshree. what is parad or mercury?, understand parad or mercury, benefits of mercury, power of parad, worship of parad statues, parad shivling, parad, shree yantra, parad for successful life, Astrologer for best guidance to solve any problem.